The famous Victory Park dedicated to the victory in The World War II is located on the Azatutyan Avenue. The place chosen for the park is absolutely perfect: the observation area offers the spectacular view of Yerevan and it seems that the city is right in your hand! Here you will also see the sculpture called «Mother of Armenia» which embodies the country’s readiness to protect its inhabitants at any moment. The sculpture represents a woman with a huge sword in her hand and a shield at her feet. Its height is 43 m and in the pedestal there is a museum dedicated to the war. The Victory Park will be an interesting and delightful place for children as well as there are many interesting amusements and carousels. No one will be bored! 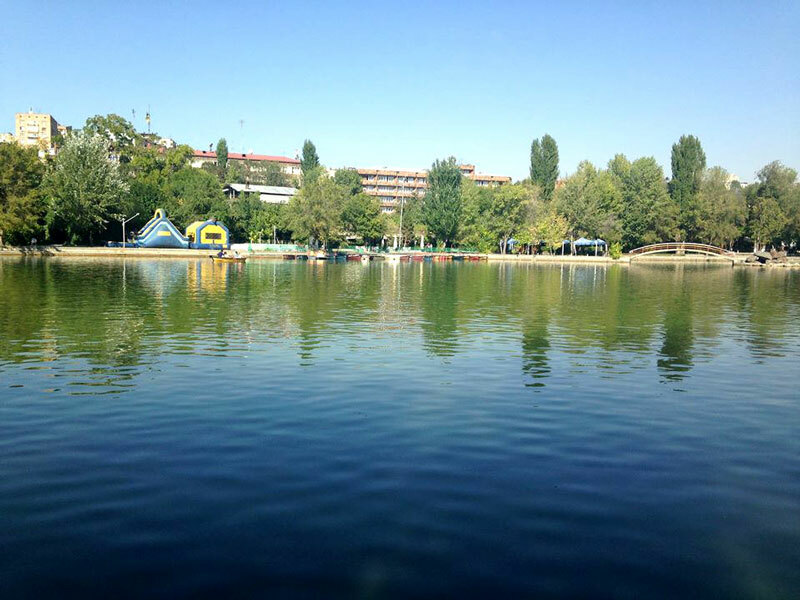 Here you can also enjoy the beauties of a small lake, sit at its shores for a rest or even take the yachts and catamarans. So once in Yerevan do not miss this beautiful place. What could be more enjoyable than to spend a romantic date or simply relax in the cozy green Lovers’ park? 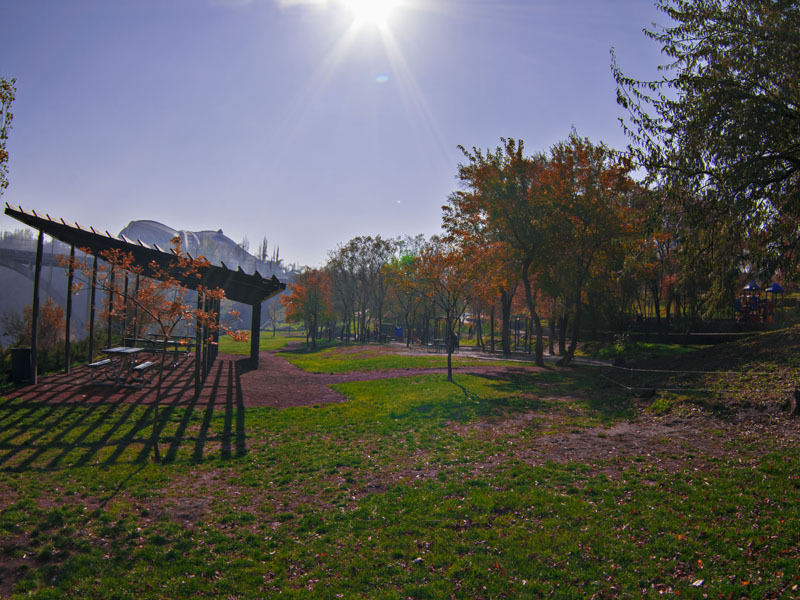 This wonderful park is located on Baghramyan Street not far from The Parliament House. Previously, it was called “Pushkin Garden”, but after the reconstruction in 2008 it turned into a beautiful and well- maintained place where every detail is thought out. 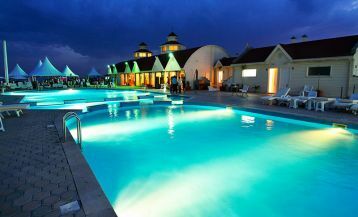 By the way, it was designed by famous French designer and architect Pierre Rambakh. Various interesting events are often organized here (exhibitions, photo and film screenings) and every weekend you will see wedding couples who traditionally spend the photo session in the park. The visitors will be able to buy food and drinks as well as use the WI-FI service, which operates throughout the park. By the way, for those who are interested we can note the park comprises more than one hectare of green area, 370 trees and 4 waterfalls! 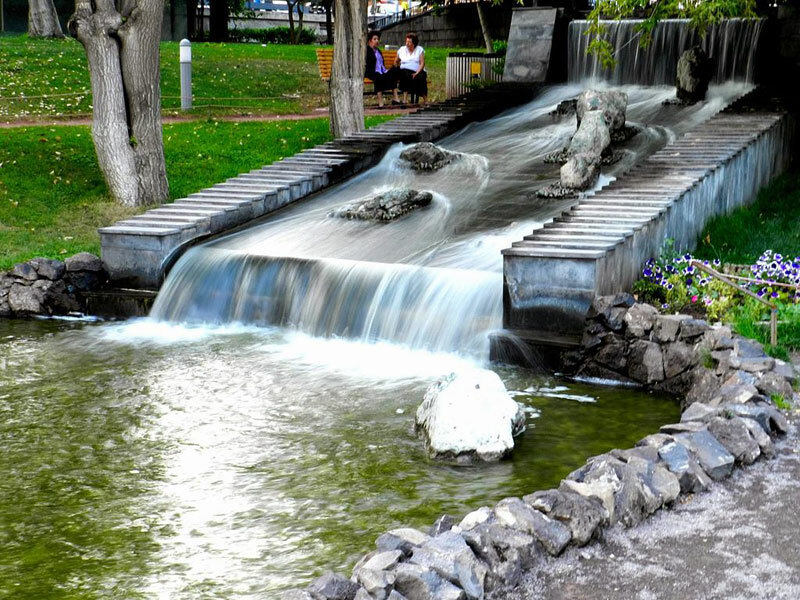 Another favorite park of Yerevan Residents is located on Alabyan Street in the gorge of Hrazdan River. It was called after the famous Armenian poet and writer Hovannes Tumanyan. 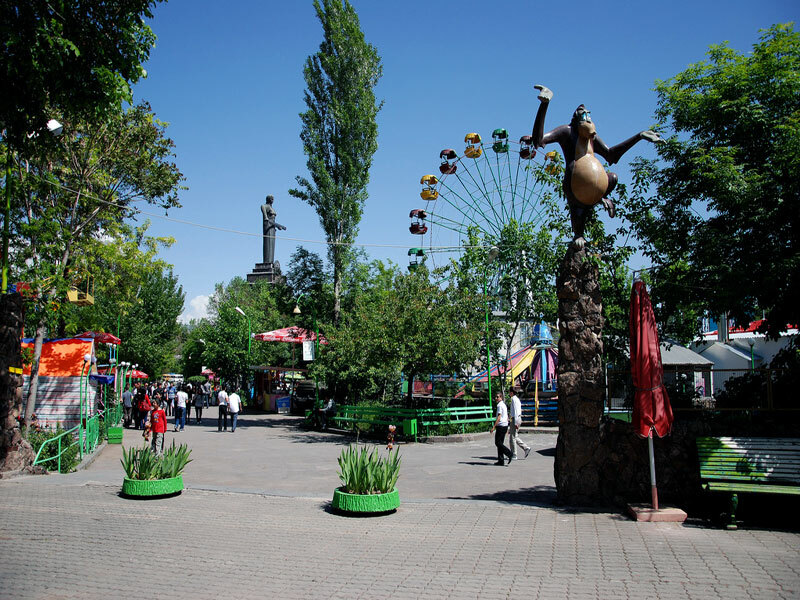 Neat lawns, old trees, peaceful silence – all this characterizes the cozy park of Tumanyan. The children here can have a good time on the special playgrounds and the athletes will be able to take advantage of training apparatus. 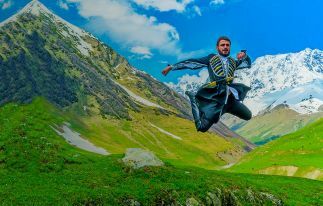 This place is perfect for running away from summer heat and enjoying the coolness in the evenings. In short, go there and see for yourself. Just near the park there is an amazing building «Tumo» – the center of creative technologies created for children from 12 to 18-year-old who are taught the development of web-design, computer games, digital media and animation. The whole system of the center is unique and has no analogs in the world, so “Tumo” attracted considerable attention from abroad. Do you want to take your children somewhere for having a good time? 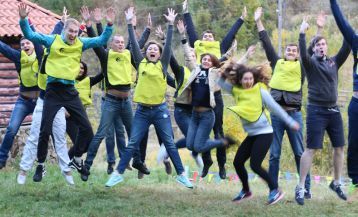 One of the suitable options will be the Children's Park after Kirov situated on Zakyan Street not far from the Russian Embassy. Here kids will be able to take various carousels, rent children’s cars and bicycles, jump on the trampoline and take part in the prettification of plaster figurines. The Square after Al. 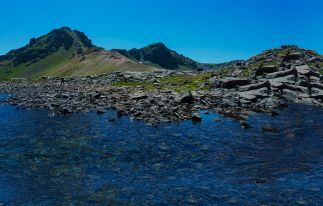 Tamanyan leads directly to one of the most famous sights in Yerevan – Cascade. 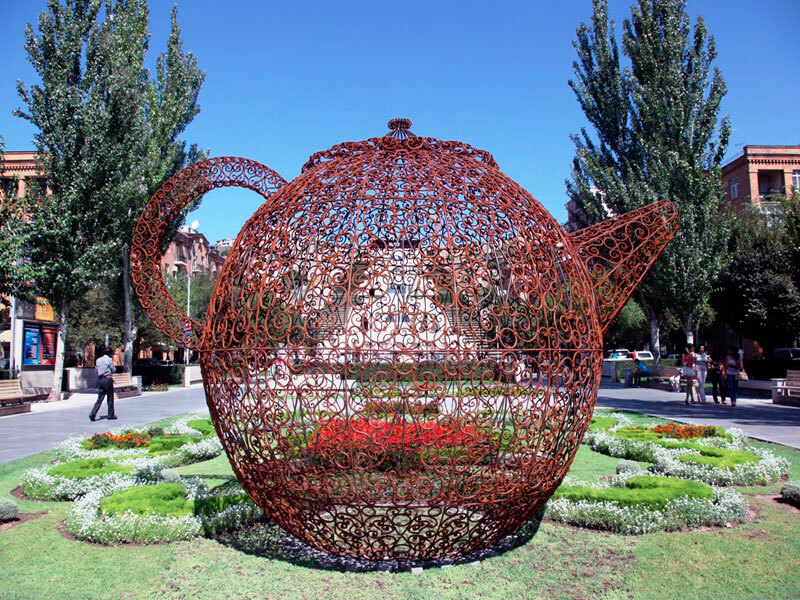 Walking through the square, you can admire the beautifully designed flowers, relax on comfortable benches, and see unique sculptures. Among them, the first was a huge cat, created by the famous Colombian sculptor Fernando Botero. Here the visitors will also see the works of Lynn Chadwick, Barry Flanagansa, Paul Cox and other popular foreign sculptors. 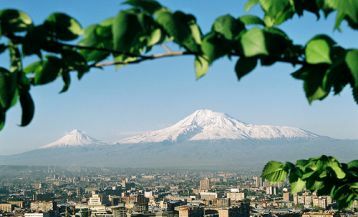 Reach the end of the park, climb on the top of the Cascade by stairs or escalator, and you will find yourself on a huge observation area, which offers magnificent views of Yerevan and Mount Ararat.